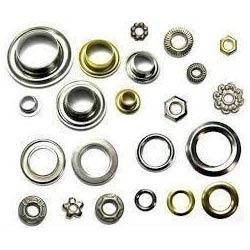 Offering you a complete choice of products which include aluminum eyelets, brass eyelets, ceramic eyelet, copper eyelets, iron eyelets and decorative eyelet. Owing to our extensive years of experience, we are manufacturing, trading and supplying a wide range of Aluminum Eyelets. The offered eyelets are manufactured by making use of finest quality aluminum & latest machinery keeping in mind the quality norms. These eyelets are properly scanned by our trained quality examiner upon several parameters of quality for delivering flawless range. Our clients greatly commended these eyelets for their quality. Also, our customers can take these eyelets from us at reasonable rates. 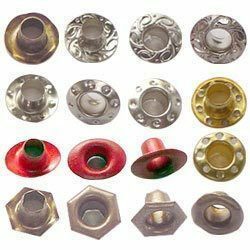 With the constant support of our adroit crew of professionals, we are fulfilling the varied needs of customers by offering best quality Brass Eyelets. 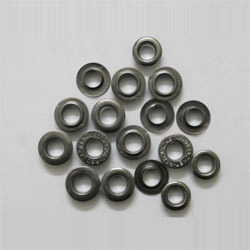 The offered eyelets are valued for their quality & durability in the market. 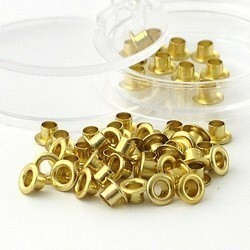 Along with that, the offered eyelets are manufactured from the quality proven brass & highly advance machinery. 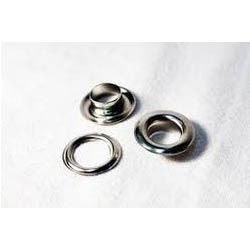 We examine these eyelets in terms of quality for supplying flawless range from our end. Customers can take these eyelets from us at nominal rates. 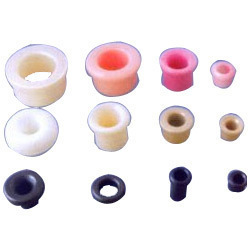 We are remarkable entity, affianced in offering superior range of Ceramic Eyelet. We perfectly manufacture the given ceramic eyelet employing top quality material & advance technology in accordance to the set industry norms. Apart from this, our competent quality experts properly examine the complete range of ceramic eyelet at every stage of production in order to deliver flawless range. 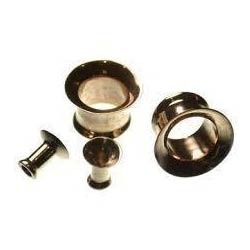 With the extensive knowledge and experience in this respective domain we are betrothed in offering high quality Copper Eyelets. 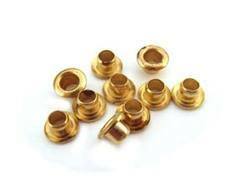 The offered copper eyelets are broadly applauded by our clients for its quality. By following the quality norms, we properly manufacture the offered eyelets at our manufacturing unit by using latest machinery & quality assured unfinished copper. 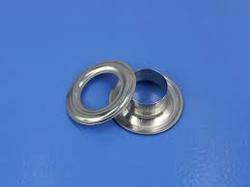 We provide these eyelets after examine them properly on numerous quality provisions in order to dispatch flawless range.